Last weekend I headed to the Austin Celtic Festival, where I got most of my Christmas shopping done. Very exciting for me – it’s not even December! 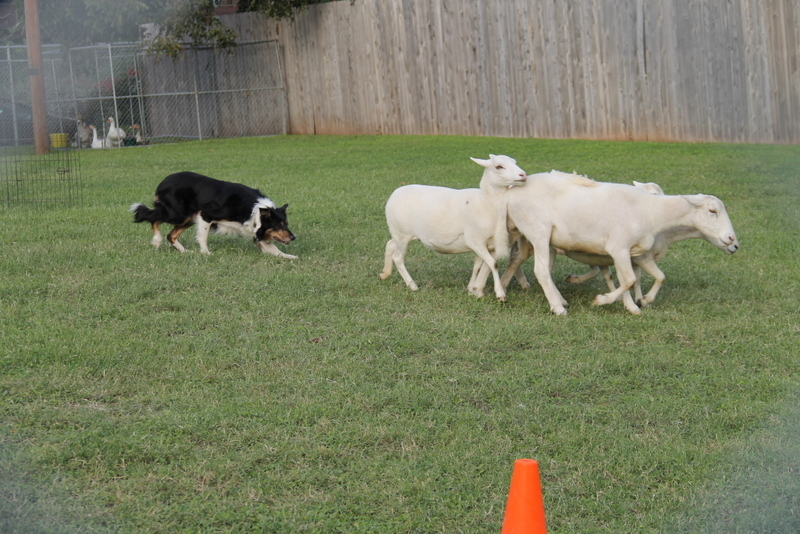 I also got to watch this amazing sheepdog demonstration from the Roux Crew, based out of Houston, TX. My family has the world’s cutest Australian Shepherd and Australian Shepherd/Chow mix and I definitely have a preference for herding dogs. I love their high-energy personalities, work ethic, and eagerness to please. 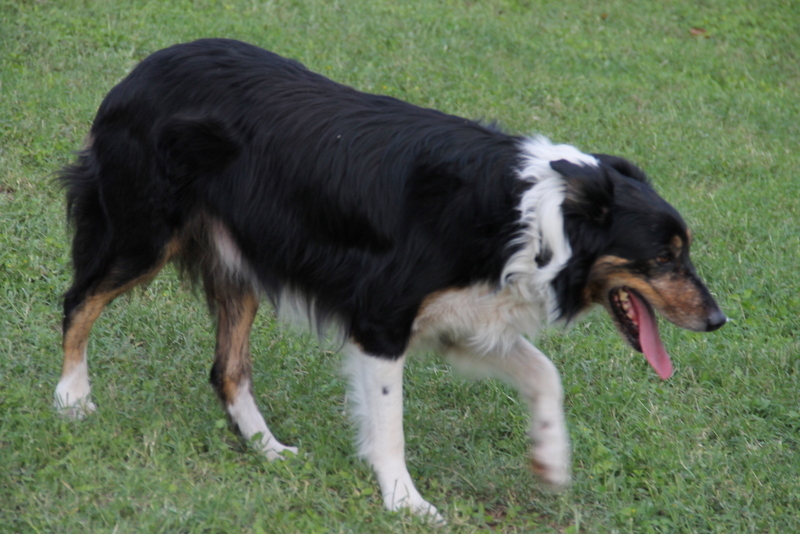 So it was a real treat for me to get to see Border Collies at work. This is Crush – he’s very talented! 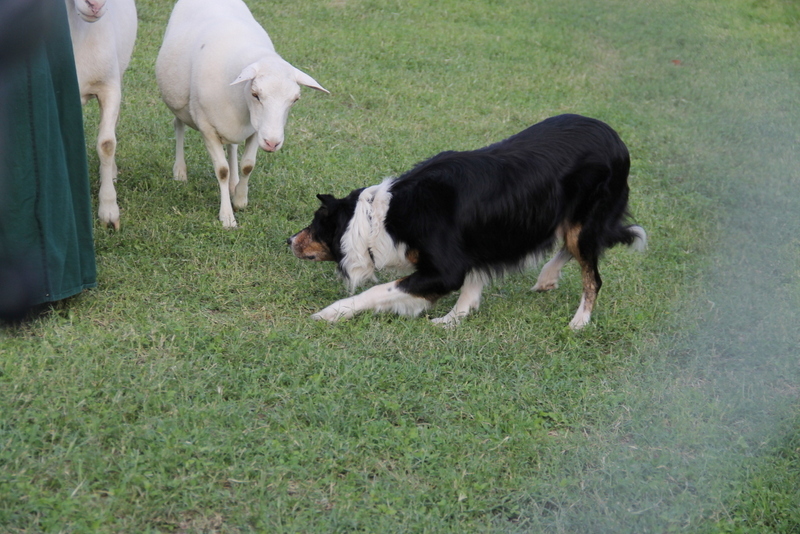 Here, he’s herding the sheep around. He had such a slinky way of moving – it was like watching a secret agent dog! 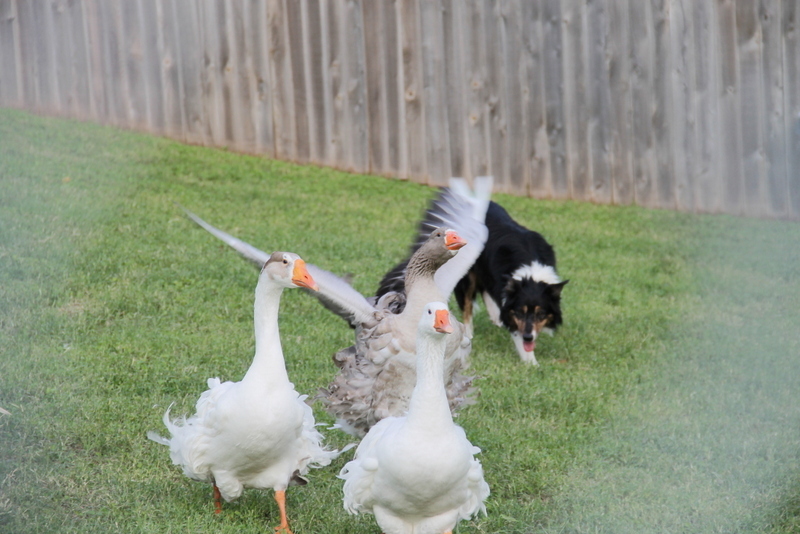 Crush herding geese. 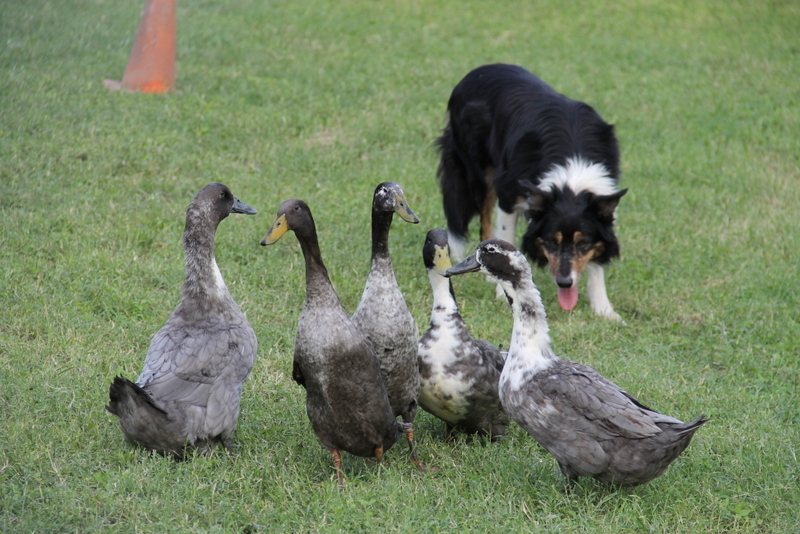 It’s apparently pretty rare for a dog to easily herd multiple species, but this talented dude can handle everything from ducks to cows with ease. 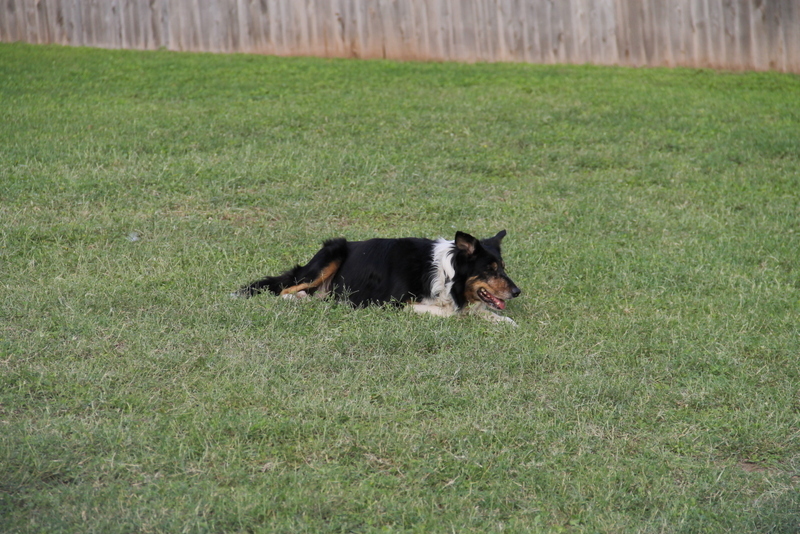 Even lying down, he’s eagerly watching the herd and waiting for his next signal. 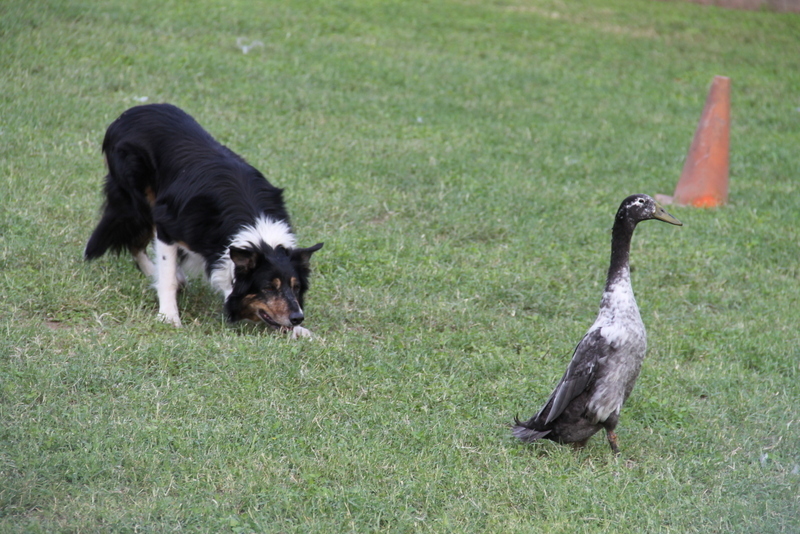 He separated this duck from the herd and kept the poor guy cornered. This picture does not do justice to the duck’s anxiety levels. 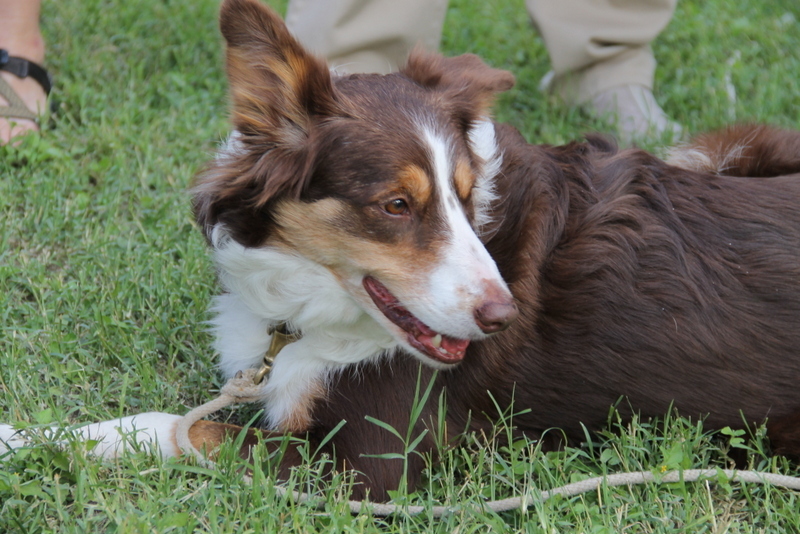 Coming in after a successful herding demonstration! One of the other dogs; a trainee just learning to herd. We were able to go pet them afterwards and they were absolutely the sweetest dogs. Even surrounded by twenty people, they were calm and happy basking in the attention.